Moving with your pet and introducing him to a new home doesn't have to be a stressful endeavor. 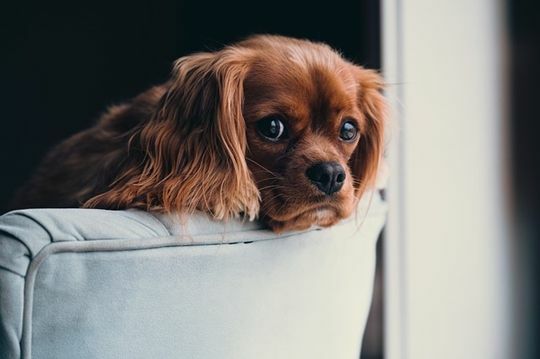 By taking the right precautions and preparing for your big day, you can ease your pet's anxieties, experience a smooth transition, and settle into your home with little hassle. Start by visiting your veterinarian to ensure your pet's health and safety. Then, make arrangements so that your pet's journey to his new home is as comfortable as it can be. When you arrive, only a few soothing acts stand between you and a happy, furry companion. Familiarize your pets with traveling by taking short trips with them in your vehicle. If possible, visit your new home with your animal. Allow him to sniff around and explore, but stay close to provide some support. These types of visits can give your pets time to become comfortable with their new surroundings before they actually move into the home. Take recent photos, in case your animal becomes lost and you have to ask locals if they've seen your wayward furry friend. Update your pets' tags with your name and current phone number. For extra protection, consider visiting a rescue organization or a veterinarian to have your animal microchipped. Pets that accidentally lose their tags can be identified and returned to you, if they've been microchipped and registered in an owners database. While you're visiting your veterinarian, stock up on your pets' prescriptions by requesting supplies that will last at least three months; allowing you time to find a new vet, if moving out of their service area. Bathe and groom pets before taking long car rides with them. This cleaning will help them feel more comfortable, at ease, and will also reduce scents that can linger in your vehicle after the ride is over. Have copies of vaccination papers on hand, if you plan on moving to a different state. Pack water, food, toys, towels, bedding and treats to comfort your furry family member during his journey. Consider putting together an animal-specific first-aid kit in case of emergencies. If you know that your four-legged buddy suffers from motion or car sickness, visit your veterinarian and request some medication to ease symptoms. Invest in a spacious pet carrier and add items to it that your furry friend will enjoy while traveling. Cats, especially, do well when relocated using these types of carriers. Try transferring animals in their crates, if they're particularly large and skittish. Purchase a doggie seat belt, if your animal is high-energy and difficult to control inside a vehicle. Make regular stops to avoid accidents. Allow your pets to urinate or defecate in appropriate areas. Never leave animals by themselves in a vehicle - even a few minutes without a human buddy can be detrimental to an animal's health. Always check to make sure that your animal is well-fed, hydrated and has enough cool air to breathe. While moving items within your new home, consider crating your pet and placing him in a room where he won't be disturbed. The sounds of unfamiliar physical activity can over-stimulate animals and encourage stress. Comfort your animal with some one-on-one time each day in your new home. While it may be difficult to find a minute to devote to your furry friend during a hectic move, it can be absolutely necessary to help calm his nerves and acclimate him to his new surroundings. Favorite toys, treats, and bedding can also put pets at ease while they wait for you to finish your tasks. Ease your furry friend into your new home by keeping him in an area that he's already been introduced to by you. Ushering your animal into a familiar area can significantly reduce the shock of new surroundings. While unpacking, set up your new place so that it mirrors your old home's layout as closely as possible. For example, if your dog's water bowl was located in a kitchen, place it in the new home's kitchen, as well. Stick to an established routine; feed and walk your pets on schedule and don't skip playtime. It can be a good idea to coordinate with other members of your house, when it comes to meeting your pets' needs. If, for instance, your pet requires regular medication, share the responsibility of dispensing it with other members of your household as medication times arise so that your animal doesn't miss a dose. Owners who are relocating overseas should take special considerations when traveling with their pets. Check airline regulations to see if your animal meets all traveling requirements. Verify that your animal can take long, overseas flights by consulting with your veterinarian before you take to the air. Plan ahead by identifying an animal doctor that you can visit in your new country. Familiarize yourself with the health regulations of your destination to ensure that your furry friend will be welcomed with open arms. How Can I Help My Cat Adjust to a New Home?